Please practice spelling words at home and do the suggested activities in the parent note. Reading-I have finished testing all the children and we will be starting reading groups shortly. I will be meeting with your child in small groups and individually to concentrate on comprehension, accuracy, fluency and vocabulary strategies. Your child should be bringing home a just-right book nightly to read. Please fill out the title and initial their agenda daily. Forgetting to read or initial results in reading during second recess. Math-We are getting to the end of our first math unit. The math test is planned for Monday, October 4th. The review sheet will come home on Wednesday. Social Studies-We are also coming to the end of our community unit. The social studies test is planned for Tuesday, October 5th. Review sheet will come home on Wednesday. “Hot Spots”- The cameras have been coming back really well. If your child has not come home with a camera yet-it should be coming home soon. Please take 4 pictures of your child’s favorite spots in your community. We will use these pictures to write a book during writing workshop. Calling all mystery readers-Moms, dads, grandmas, grandpas, uncles, aunts cousins etc!!!!!! Starting in October we would like to have a mystery reader come in to read a story to the children. The reader would arriveon Fridays at 12:45 and knock on the door. The children will have listened to the clues sent in by the mystery reader and tried to guess who is coming in!! It isvery exciting for the children to see who walks through the door!! Take a peek at our available dates!!! I am hoping to have someone from each child’s family come in and read!!!!! If Friday’s are not good for you let me know and I will make other arrangements! What a great day for a walk!!! We visited the library, fire station, Fort Fraser and finally El Charros. Take a peek at some of the photos!! Tomorrow is our walk through Fraser field trip. We are leaving school at 8:45 and walking to the library first. Our next stop is the Firestation and then Fort Fraser. Our final stop is lunch at El Charros. We walk rain or shine so please dress for the weather. Cross your fingers that it doesn’t rain. I think it is going to be rather warm out-shorts would be a good idea!! We are returning to the school at 2:00ish!!! Don’t forget to send in your Sunny D UPC codes. If we collect 20 UPC codes,we will receive 20 free books for our classroom library. Don’t forget, I will give 10 Eagle Bucks to everyone who brings in labels. Last week we made a birthday graph on the promethean board. The kids picked their likeness and moved themselves to the appropriate month. The children are adjusting very well to second grade!! Spelling: This week our spelling unit focuses on conconant teams (th, sh, wh) Every Monday we take a pre-test. A preent letter and spelling list also comes home. Please try to work with your child practicing the words. Spelling test is every Friday. Math: We have started Unit 1 and are reviewing skills from last year. Please review counting by 2’s, 5’s and 10’s. We have also starteddaily Mad Minute addition quizzes. The children get 3 minutes to do 30 addition problems. If your child finishes all 30 correctly he/she does not have to take the quiz for the rest of the week. Practice addition facts!! 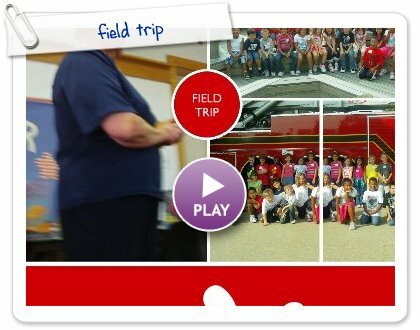 Field Trip: On Thursday we are going on our first field trip of the year. Second grade will be walking thru the city of Fraser to go along with our social studies unit on communities. We will walk to the library, fire station, Fort Fraser and finally El Charros restaurant. Please make sure you send in $6.00 to cover the cost of lunch at El Charros. We will be walking rain or shine-please dress accordingly!!!! On Friday we had our first Book Buddy meeting after lunch. Mrs. Biondi’s 5th grader’s came down and we went outside where the kids interviewed eachother and the 2nd grader’s read their buddy a story. We plan on meeting twice a month to work toether on special activities or just to read to eachother!! The kids enjoy interacting with the “big” kids.